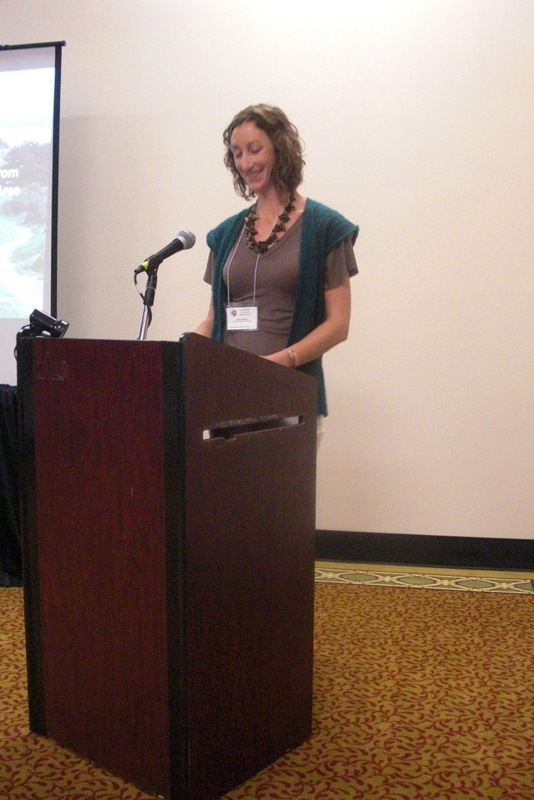 Our program was represented at the 2010 Society for California Archaeology Annual meeting last week in Riverside, CA. Dr. Georgia Fox, a conservator and archaeologist on faculty in the Anthropology department at CSU Chico (and co-director of the Valene L. Smith Museum of Anthropology and Museum Studies Program) chaired the conference this year. In an attempt to include a stronger conservation presence at the meeting, she solicited the help of program alumna Molly Gleeson (’08) to organize a conservation session. “Conservation of Archaeological Materials in California: An Overview,” presented by Dr. Georgia Fox. In her paper, Georgia discussed the ongoing challenges of curating and caring for archaeological materials and the timeliness of the presence of conservation in this meeting. 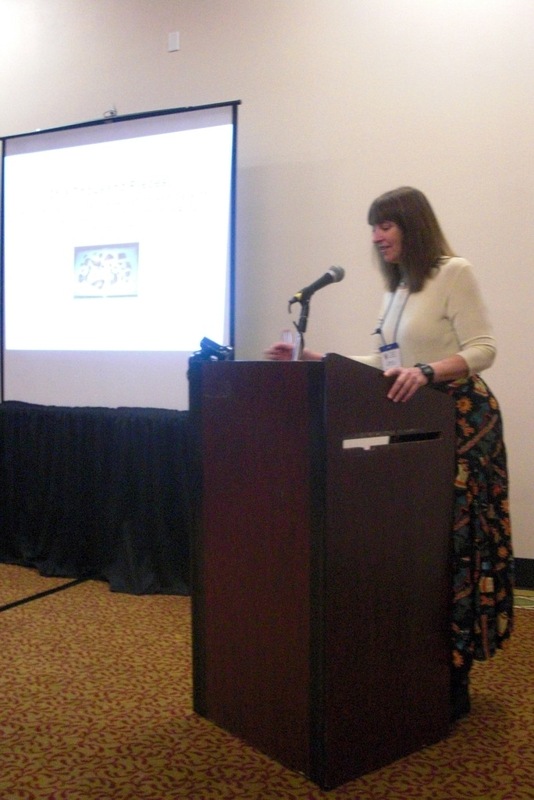 She also provided an overview of the pre-conference Curation Workshop, “First Aid for California Finds,” taught by Jacqueline Zak and Alice Paterakis. “Connecting to collections and communities: addressing the needs of California cultural heritage through education and technology,” presented by UCLA/Getty Staff Research Associate Vanessa Muros and program alumna Ozge Gencay Ustun (’08). Vanessa and Ozge presented several initiatives undertaken by the UCLA/Getty Conservation Program in the areas of conservation education and outreach with various stakeholders caring for California artifacts and sites. They also discussed issues such as pesticides in museum collections and the development of several web-based conservation resources. “Examination and Documentation of Plant Fibers Used in Southern California Basketry,” presented by Molly Gleeson. This presentation was based on work carried out by the class of 2008 in the course “Conservation and Ethnography”, taught by Prof. Ellen Pearlstein. The work included a combination of examination methods and collaboration with the Agua Caliente Cultural Museum and Cahuilla basket weaver Donna Largo. Molly Gleeson, UCLA/Getty Program alum and organizer of this year's conservation session. “A Metal Intervention: Anoxic Treatment of Metal Artifacts from the Golden Gate National Recreation Area,” presented by Kathleen Clevenger. Katie received her MA from Stanford in 2008 and she is currently working for the National Park Service in the Golden Gate National Recreation Area’s Presidio Archaeology Lab. The project she spoke about described an anoxic storage re-housing project, which began with an initial survey of the collection by archaeological conservator Howard Wellman. “New Methods in Digital Imagery: Documentation of Archaeological and Historical Data as Long-Term Conservation Tools,” presented by Dr. Bekir Gurdil. Dr. Gurdil holds a PhD. from the Cotsen Institute of Archaeology at UCLA and he is currently working as a research scientist in the Department of Religion, USC, for the InscriptiFact Project . He spoke about the use of Reflectance Transformation Imaging (RTI) technology to document and examine artifacts, particularly those with inscriptions, and the application of the technology for larger-scale projects, such as the documentation of rock art. This was the first time a conservation session was held at the SCAs. The aim of this session was to introduce the audience to some conservators working in the state and also to present some of the ongoing conservation work and outreach related to California artifacts, sites and the communities working with these materials. Based on positive feedback and high attendance in the session, we are encouraged to hold a conservation session at this meeting again. In an attempt to understand some of the conservation issues faced by archaeologists, tribal members and other individuals working with California sites and artifacts, we made a Conservation Questionnaire. We hope that the information collected in this questionnaire will help us develop content for web resources and future conservation sessions in archaeology meetings. For more images of the conference, visit the UCLA Getty Program’s Facebook page. Categories: Uncategorized | Tags: archaeology, conference, conservation, curation, SCA, Society for California Archaeology | Permalink. Brought about by the upcoming session “Conservation of California Sites and Artifacts” at this year’s Society for California Archaeology’s 2010 Annual Meeting (March 17-20, Riverside, CA), a “Conservation Questionnaire” was created. The purpose of this form is to survey archaeologists and other professionals working with California archaeological materials about their use of conservation resources and their experiences working with conservators. Your responses will be helpful for the development of additional resources and education programs on conservation for the California archaeology community. After completing the questionnaire, if you would like to be included in the development of these resources, or if you have further comments, please leave your name and contact information in the space provided at the end of the form. Categories: Uncategorized | Tags: archaeological materials, archaeologists, California, conservation questionnaire, conservators | Permalink.